Papillary endothelial hyperplasia is an intravascular endothelial proliferation seen sometimes in the setting of an organizing thrombus (top right and bottom in the image). The most common locations are veins of head and neck, trunk, and fingers. 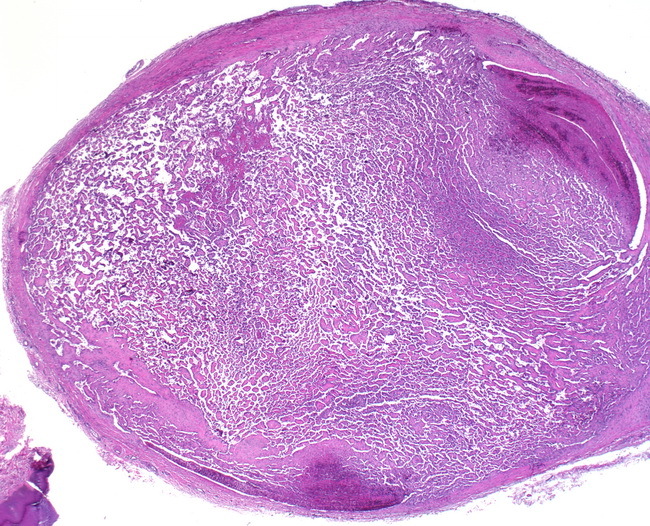 It may also be superimposed on preexisting vascular lesions such as hemangiomas or arteriovenous malformation.